I first saw the garden from Google Earth’s satellite photo; it looks like a medieval monastic garden. 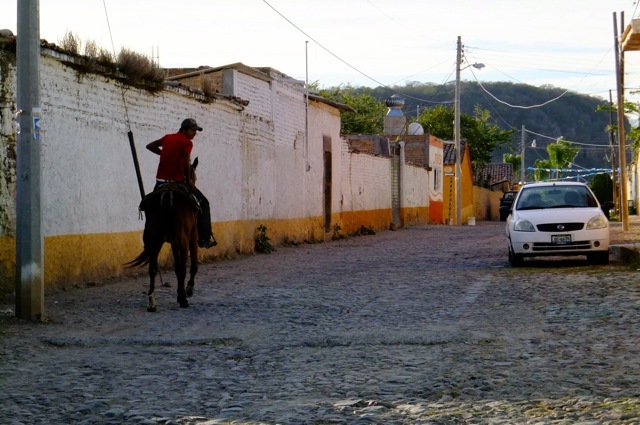 I scanned the town from above with one clue—Casa Colibri is next to one of the two rodeos in Hostotipaquillo. This photo of the garden is from the second floor. The tools shed roof is in the foreground. All the beds are enclosed with concrete blocks because in the rainy season a creek flows through and out through the garage and onto the street. The force of the water has washed soil from between the cobblestone of the lane. 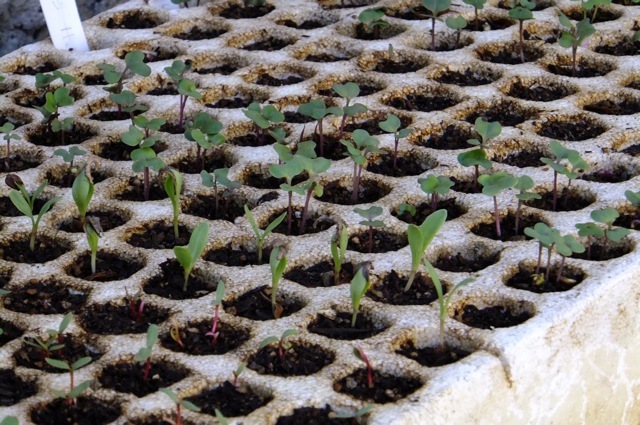 During the three weeks I was there I taught the new members basic organic gardening and answered the questions of the experienced gardeners. We started with soil fertility and built two compost piles. I showed them how to double dig. We made potting soil by sifting and mixing together compost, sand and local pumice. Lida, a 50-yr old former lawyer and nonprofit director from LA invited me to the lookout point called Cejatita, or the Eyebrow. As we walked, I asked Lida how she heard about Casa Colibri, the Catholic Worker community of volunteers where I will live for three weeks. Since I arrived she has been the most helpful, explaining the schedule and the ins and outs of life here. “How do you know him? We arrived at the lookout point, an escarpment about 400 feet above the scrubby plain, and beyond that to the rugged Sierra Madre Occidental. An updraft blew through the foliage of the stunted Copal and Acacia trees clinging to the rocks, creating a constant hum. The vast expanse silenced my mind. When I returned to this place again over the next couple of weeks, I began to read the landscape; off to the west I first heard and then saw a bus coming down the long grade that brought me here. The features below were spread out like a quilt with a child’s miniature world. I began to look within the vast scrubby plains and tree-covered hills and could recognize ejidos, individually farmed parcels that are owned by the townsfolk’s community. 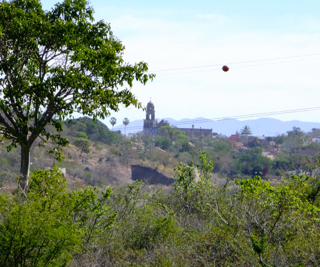 While mostly grazing land, small fields or milpas had been cut into the dense growth. It was four months into the dry season and the deciduous trees belied the lush potential that summer rains bring forth. The next time I stood here at Cejatita was after a trip to a local ranch; I was able to trace some of our route and see the communal grazing land that Beto’s cow had wandered away from, looking for greener pastures. The cows down there looked so tiny. A photo taken from the back of a pickup truck while we waited for the farmer to catch his prized Holstein. She was running thorough the campo. 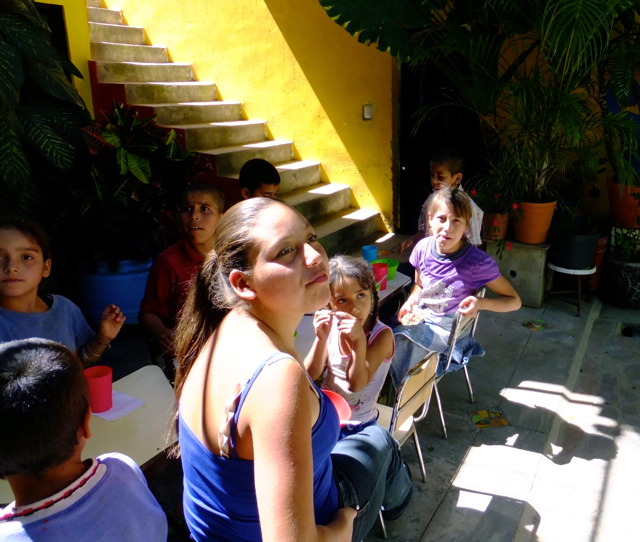 Friday morning I studies Spanish while the members worked on the current mission statement for Casa Colibri. 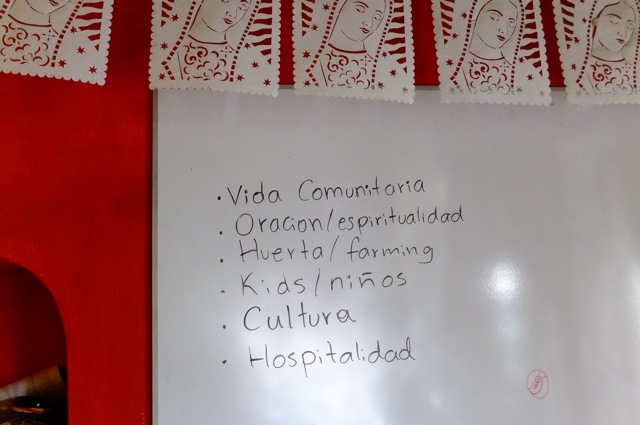 The community of Casa Colibri listed their priorities. I think someone told me they were equally important values. Then I helped with lunch preparation. 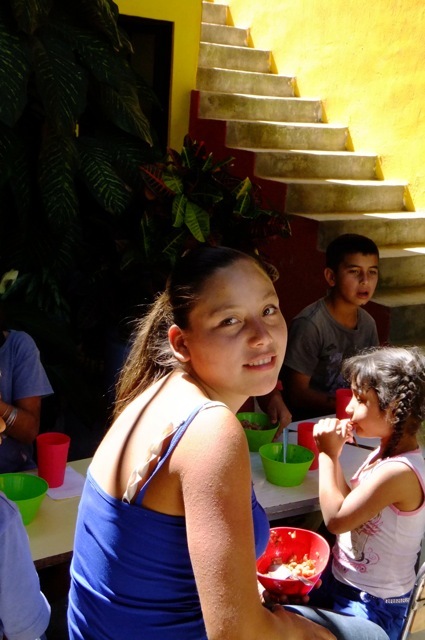 Three days a week the Catholic Workers prepare lunch for 15-20 local kids—mostly from poor or dysfunctional families. One family of nine kids often shows up. 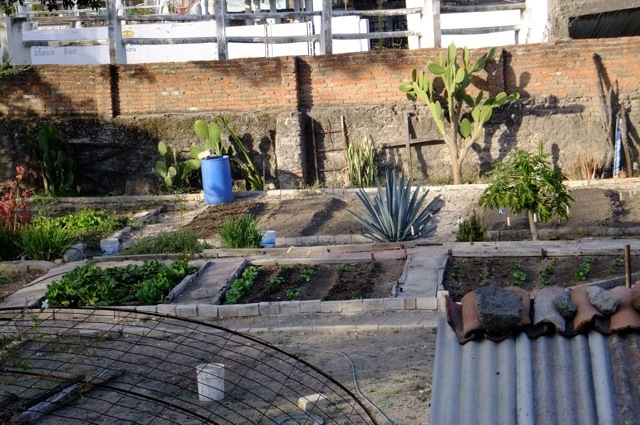 Manuel started Casa Colibri after living at the Los Angleles Catholic Workers for many years. Before that he grew up in Mexico and went through a Jesuit seminary, but decided becoming a priest was not for him. The Catholic Worker vision of modeling one’s life on the simple and radical actions of Jesus Christ resonated with him. He has been the constant and guiding force to make this dream a reality in rural Mexico. His humble demeanor hides his creative gifts, charisma and perseverance. At lunch there are rules for the kids: hand-washing before sitting, everyone recites a simple singsong thanksgiving prayer before eating, kids stay in their seats while eating, and vegetables must be eaten before tacos or beans. Often they want seconds and thirds. There is plenty of food for all. The kids can be so loving and affectionate, demanding and rude. There is a beautiful bond between them and the members of the Casa. The children warmly included me in the group. 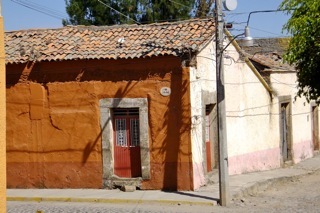 Although Casa Colibri has a small budget, in the seven years since they purchased the property, they have renovated the house and built an addition. The first thing they did in the garden was to remove the concrete and chicken coops that covered the ground.